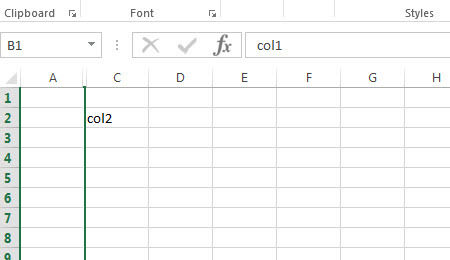 How do I insert a new column in excel? How do I delete a column in excel? 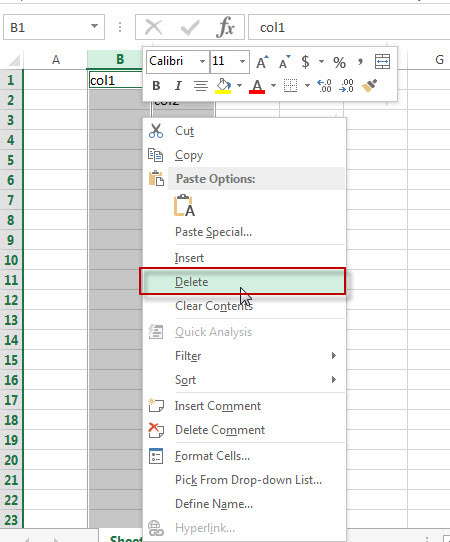 How to delete multiple columns in Excel workbook? How to hide a column from being displayed in excel? 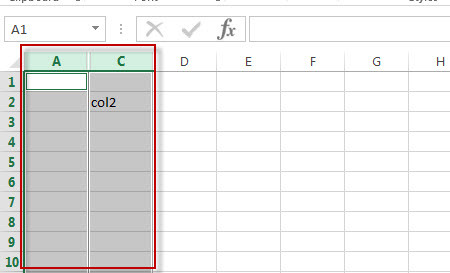 How to unhide the hidden columns in excel? 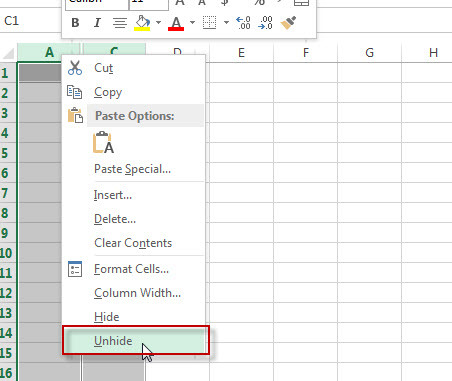 This post will guide you how to Insert/Delete/Hide/Unhide/Sizing columns in Microsoft Excel. 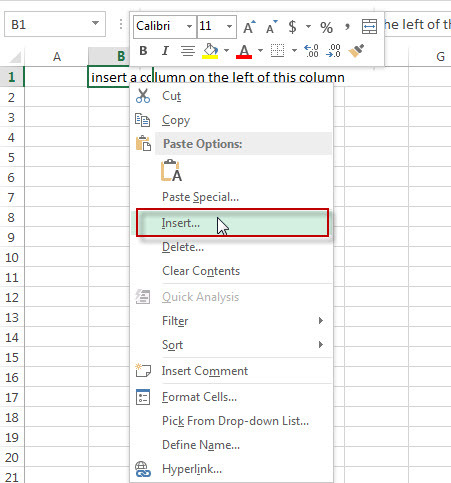 #1 Select one column or a cell that you want to insert the new column and the new column will be inserted on the left side of the selected column or cell. For example: select column B or B1 cell. #3 A “Insert” window will appear. Then click “Entire column” radio button. #4 Let’ see the result. 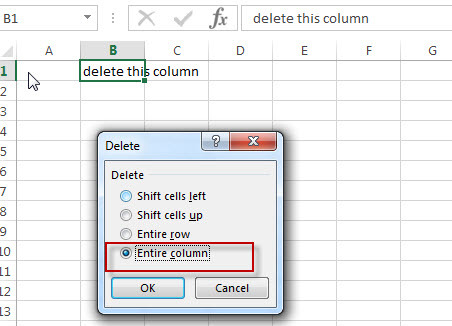 #1 Select a cell or a column that you want to delete. For example: select column 2 or B2 cell. #3 A “Delete” window will appear. Then click “Entire row” radio button. Click “OK” button. 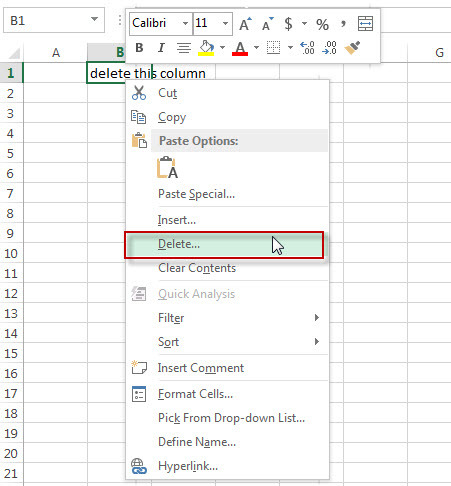 Note: if you want to delete multiple columns, you just need to select those columns via clicking column number then right-click on it. Next, click “Delete”. All columns you selected will be deleted immediately. 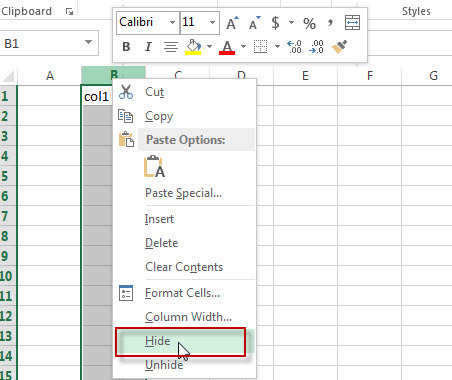 The below steps will explain that how to hide a column in excel. #1 Select column that you wish to hide via clicking column number. #3 Let’s see the result, column B should be hidden. 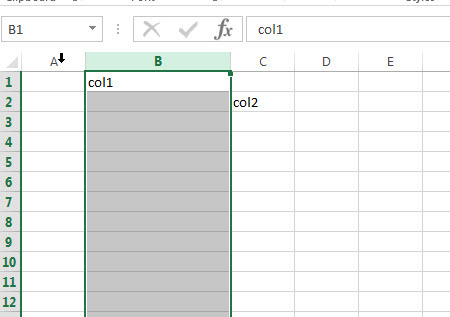 #1 Select the columns that contain the hidden column. For example, column B was hidden, now we need to select Column A and Column C.
#3 The hidden column should be unhidden, let’s see the result. 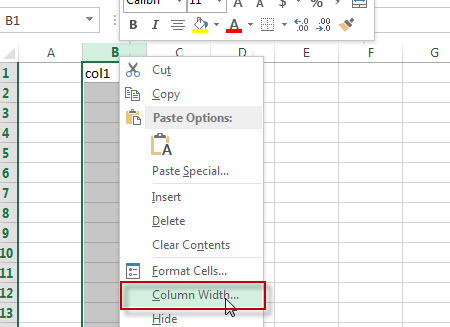 Sometimes, we wish to change the width of a column in excel, the below steps will guide you how to change the column width. 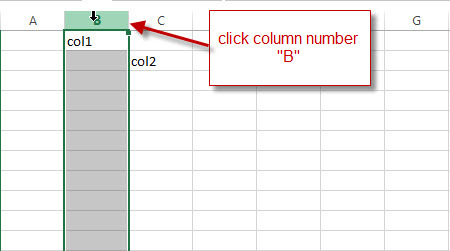 #1 Select column that you want to change width via clicking column number. 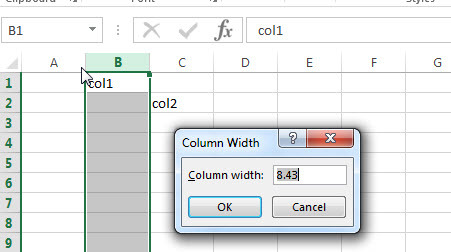 #3 A “Column width” window will appear. 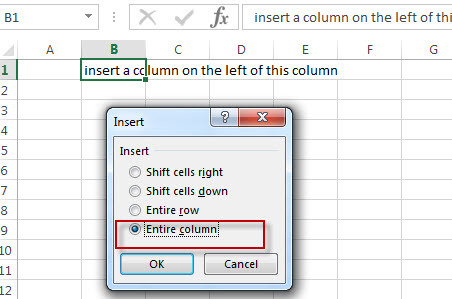 #4 Input new value for column width, such as: 20, then click “OK” button. #5 Let’s see the result. column 3 should be the new column width.